It's time for a Great Night! Join us then on Sunday, 31 March for a unique networking party at one of the most glamorous champagne bars of Malta - Tiffany Champagne Bar in Portomaso Marina! Let's mingle and have fun at Tiffany! The venue has been booked exclusively for the InterNations members! A welcome drink (glass of prosecco) will be offered to each attendee. 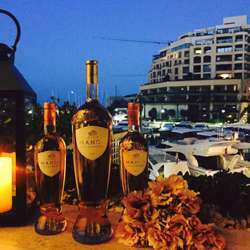 Tiffany Champagne bar is located in the prestigious Portomaso Marina in St.Julians. Tiffany’s is open from Monday to Sunday, 7pm till late. Whether you are looking for a pre-dinner aperitif or a late night drink, Tiffany has you covered. With a selection of 300 wines and champagnes, mixed food platters, cigar room with wide choice of cigars,many varieties of whiskeys and gins, fresh fruit cocktails and refreshing non-alcohol options – the choice is yours! Let's enjoy a fabulous Sunday night at one of the most exclusive venues of Malta!